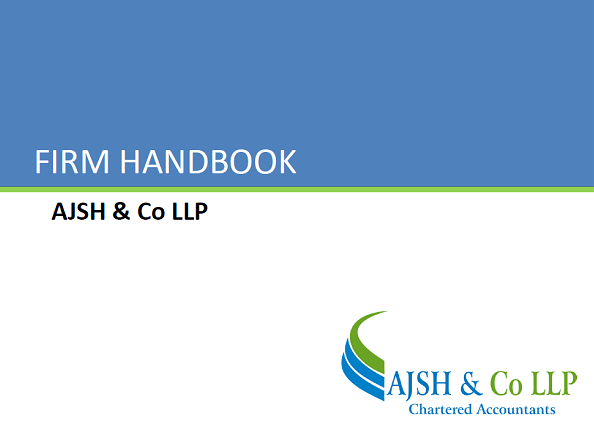 Established in 2008, AJSH & Co LLP is an independent firm of Chartered Accountants based in New Delhi, registered with Institute of Chartered Accountants of India (ICAI) and Public Company Accounting Oversight Board (PCAOB), United States. At AJSH, we render hassle-free professional services including setting up business in India, accounting and bookkeeping, auditing and assurance, taxation as well as company registration in India. Our area of expertise also includes assistance in acquiring patents, trademarks registration, FDI approvals, transfer pricing etc. Our aim is to provide real world solutions to complex business issues through our services. Starting a company or setting up a business is not an easy task..
An audit is more than a formality it is a necessity to protect.. In today's business world it becomes quite a challenge for business.. This is our service offering where businesses can outsource.. Whether you are launching a start-up in need of small business..
Estate planning is a collection of preparation tasks which helps an individual ..
We promise to guide you for all your taxation needs with highly experienced & skilled .. The Goods and Services Tax (GST) has consolidated a plethora of indirect taxes ..
PCAOB is Public Company Accounting Oversight Board in United States. As we are closing 2018, I really want to recognize and appreciate all the support from AJSH and team for all the hard work and the spirit they have put in. The fact that how you people are always ready to jump on a call or skype to discuss any questions or concerns we have is commendable. Also, I want to acknowledge the attention team pays to minute details, timely responses and thorough weekly statuses. Further I would like to add that I'm glad we crossed paths with Ankit. You and AJSH have been a great partner for us. We're grateful to have a talented partner with expertise and commitment. Thank you for all your dedication and commitment. I am pleasantly overwhelmed with insight and professional expertise of the firm. The services from AJSH have been eminent and lucid. The team is well versed, always provides explicit advice and guidance promptly as well as efficiently. I am impressed with the way they were able to highlight the crucial and finer aspects of our accounting and financial reporting process. I wish to continue our association in the long run. AJSH has been an added advantage to our organization. We are grateful for the hard work and exemplary services provided by their team. They are a pleasure to work with and always accommodating. On your contribution to Indus Towers, I would like to say you are our crisis man and your attitude at times of stress is impressive to say the least. We can be transparent with you and share our issues and you respond with the some transparency. Please keep it up..